Please be patient on the lack of content here. I’ve been making a concerted effort to integrate an easy-to-use blog page with the more static content on my previous website, along with the really great market data that I want to be able to present to you on a monthly basis. For market data, please take a look at my Market Trends page and click on the links that interest you. It’s not quite where I want it to be, but it’s getting there. San Francisco Condos doing just fine, thank you. 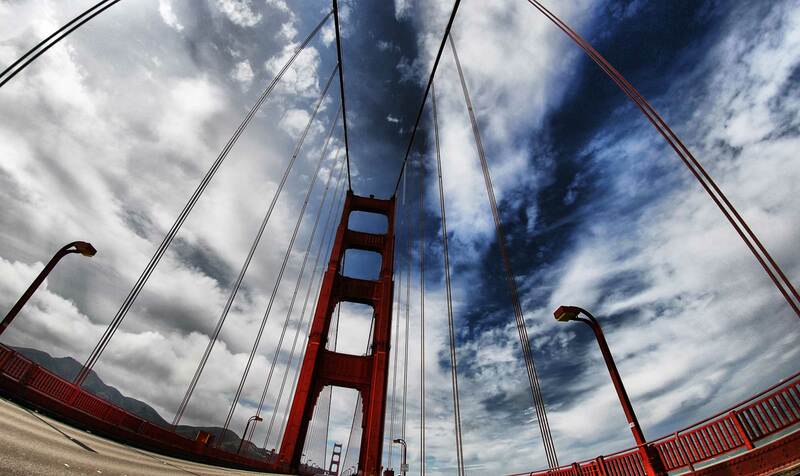 Condos often get hit hard in times of real estate turmoil, but that doesn’t seem to be happening in San Francisco — at least for now. 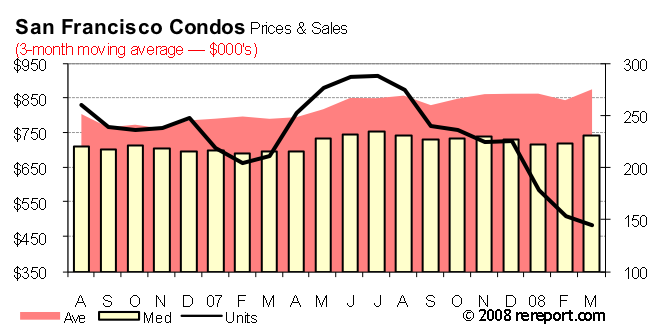 This graph shows a 12 month moving average of actual condo sales through March. The moving average “flattens” fluctuations, but the raw numbers show the March median and average condo prices at all time highs of $765,575 and $914,187, respectively. And this is while volume in terms of units sold is down. Why?